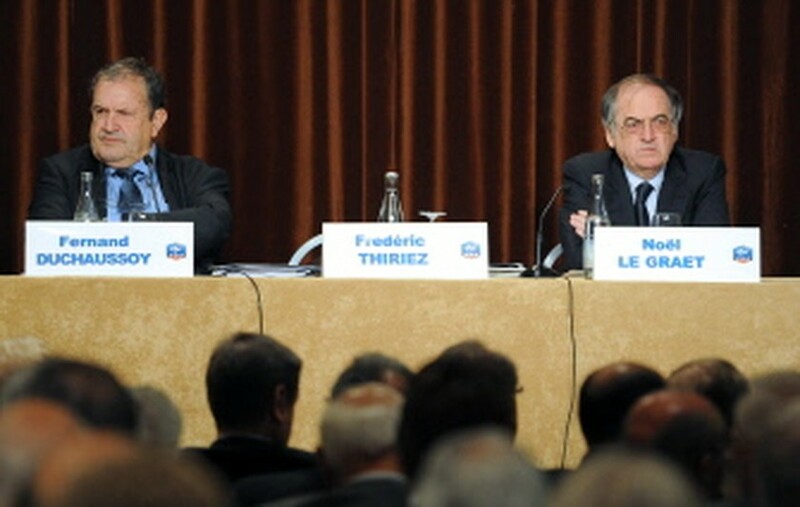 PARIS, June 18, 2011 (AFP) - Noel Le Graet was Saturday elected as president of the French Football Federation (FFF) after obtaining 54.39 percent of votes cast. Main rival and outgoing president Fernand Duchaussoy scored 45.40 percent leaving 69-year-old Le Graet the victor after a sole round of voting. Duchaussoy had been expected to win the contest but will now return to a role in the amateur game in northern France. But he has paid the price for a difficult year enduring the fallout from France's humiliating World Cup showing - a first-round exit made worse by a very public player mutiny in the wake of the sending home of Nicolas Anelka for an outburst against former coach Raymond Domenech. Le Graet said his first priority would be to receive soundings from the coaches of all the national teams. 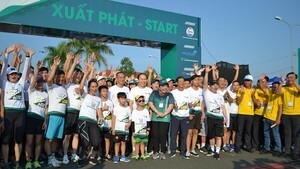 "My most important immediate task is to put Joel Muller (head of the French coaches association) to work to meet with the national coaches, to define a strategic plan and then to introduce a national technical director (DTN) with a clear way forward," said Le Graet. Former FFF supremo Jean-Pierre Escalettes said he believed Duchaussoy had lost at least partly as a result of "the difficult year he has had" since the World Cup fiasco in South Africa, which saw players refuse to train after Anelka was sent back home in disgrace. Escalettes resigned after the team returned from the finals in South Africa and Duchaussoy took over as interim head - but the fallout has continued after the player strike sullied France's sporting image worldwide. Further issues including rows over player bonuses and race quotas for the national team amid fears that France was investing in the development of youngsters only to see them opt to play at full international level for their - usually African - country of origin did not help his cause. "The one in situ is not the one with the best chance of getting re-elected, as he is the one who takes all the flak and Fernand has had a difficult year," said Escalettes. Duchaussoy may not be the only one to suffer from the fallout as Le Graet did not exactly give the present DTN Francois Blaquart, who has been the man most implicated in the quotas row, a ringing endorsement. "This (his future) has to be discussed, to take note of the information that is put before us. "Maybe it will be him, or maybe not. I await a summary of the facts from Muller on September 15." Le Graet had been FFF vice-president since 2005 and he is also president of second tier outfit Guingamp. He is also a former French League president. He did not stand in the December vote which initially confirmed Duchaussoy in his post with 79.4 percent of the vote. One factor in Le Graet's favour was his netting of 42million euros a year contract with kit supplier Nike. He now has until December of next year to impress as president before another election is scheduled. Le Graet said he could achieve enough in his tenure to be re-elected. "One can lay down ones marker," he said. "Things will happen. After that people will decide once again for an important mandate which will take us up to the hosting of Euro 2016. "And the federation will be far better off economically."